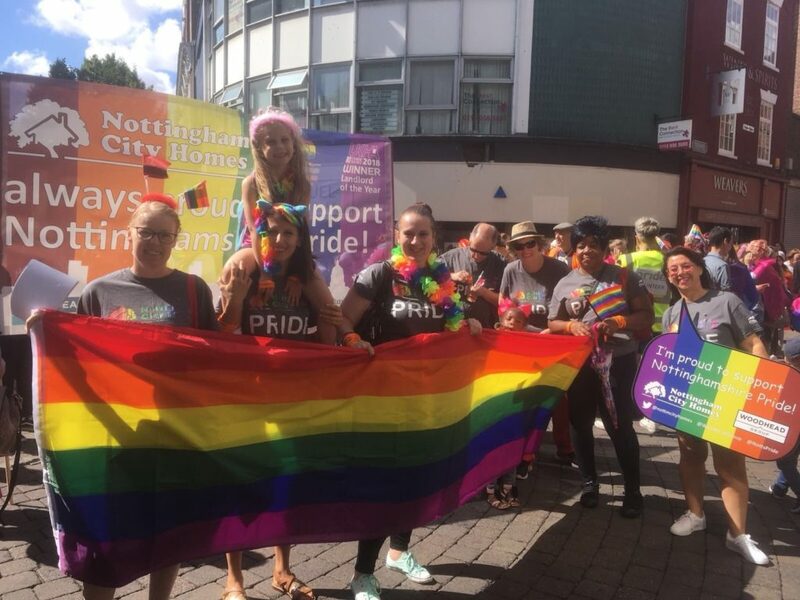 The Woodhead Group were delighted to Sponsor Nottingham City Homes (NCH) at this years Nottingham Pride event which took place on Saturday 28th July 2018. Nottingham City Homes support this event every year to support our LGBT+ communities, to raise the profile of NCH and to especially reach out with their women in construction programme. Woodhead Construction have been responsible for developing a number of homes for Nottingham City Homes, including the recent building a better Nottingham Phase 2 and 3 which delivered over 100 high quality homes in the City. A recent report by Construction News found that just under a third of all LGBT+ people said working in construction has had a negative impact on their mental health. Two-thirds of all LGBT+ respondents also felt their sexuality or gender created barriers to progressing their career within construction. Read the full report here.